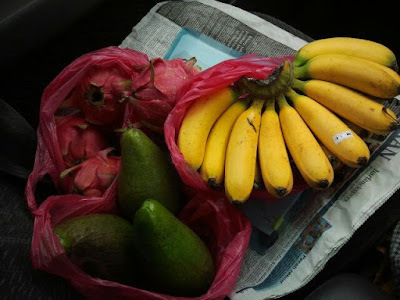 We are blessed with all kinds of tropical & exotic fruits at this fruiting seasons. 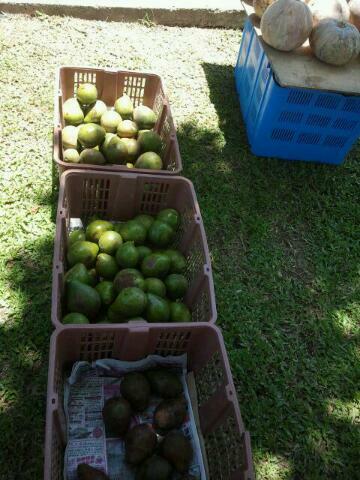 From the start of August, we can see more varieties of tropical and exotic fruits being sold at the stalls. Some over priced especially at tourists spots. 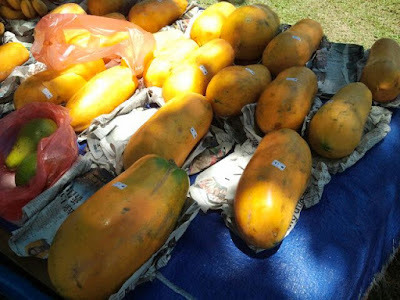 Shopping of fruits has been made convenient by a fruit trader whom has a farm from Keningau. With the permission from the school authority and his good gesture of donating some earnings to the school, he is allowed to sell his produce outside the school compound. 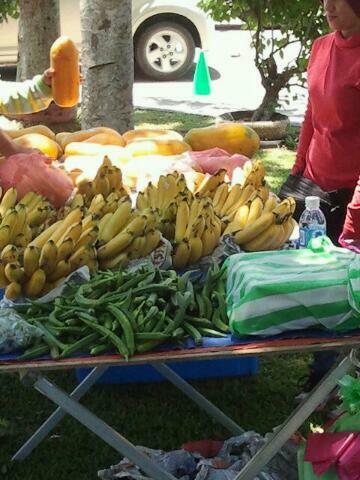 The trader will come again with more fruits next week. Some parents and teachers have placed their orders in advance. 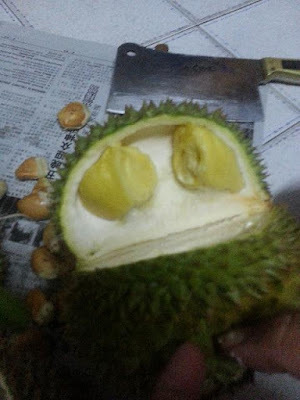 He bought 2 ordinary durians from him too.. It is not the breed of D24 nor Musang King but it's good enough to taste the king of fruit this season. The chopping knife is a tool needed to open a durian.